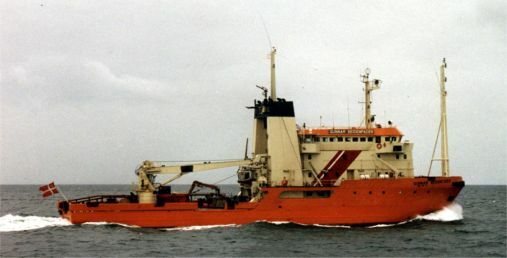 The Environmental Protection Vessel GUNNAR SEIDENFADEN. The ships were operated by the Ministry of Environmental Affairs, but manned with navy personnel. After January 1, 1996, the ships are operated and manned by the RDN.